With more Americans than previously thought needing care in the nation’s nursing homes, will more of us start to pay greater attention to the unacceptable and under-reported elder abuse occurring there? And with calamities like Hurricane Harvey fresh in mind, will more sons and daughters, nephews and nieces, and other friends and loved ones take a bit of time now to think how safe their elder relatives’ care facilities might be and where they might go in catastrophic circumstance? Although most previous research has indicated that just 35 percent of Americans will use a nursing home in later life, new study by the independent, nonpartisan RAND Corporation indicates that figure may be far too low. More than half (56 percent) of those now aged 57 to 61 will spend at least a night and likely much more time in nursing home care, RAND researchers found. If seniors need the care, they stay on average 272 nights in nursing homes, though 10 percent of the population the researchers studied spent more than 1,000 nights in such facilities. Those stays might seem relatively brief, and they are, and they have been increasingly short, likely due to pushes by Medicaid and Medicare to provide alternative care options and to limit the time seniors spend in costly hospitals and then in still-expensive but less so nursing homes. But with the nation graying, and with the toll of debilitating conditions like dementia and Alzheimer’s expected to rise, nursing home care is expected to increase in demand and duration, the RAND researchers have reported. That could worsen some problems that already are occurring in the facilities, which, federal inspectors have just warned, are failing to report serious elder abuse cases to police, as they are legally required to do so. 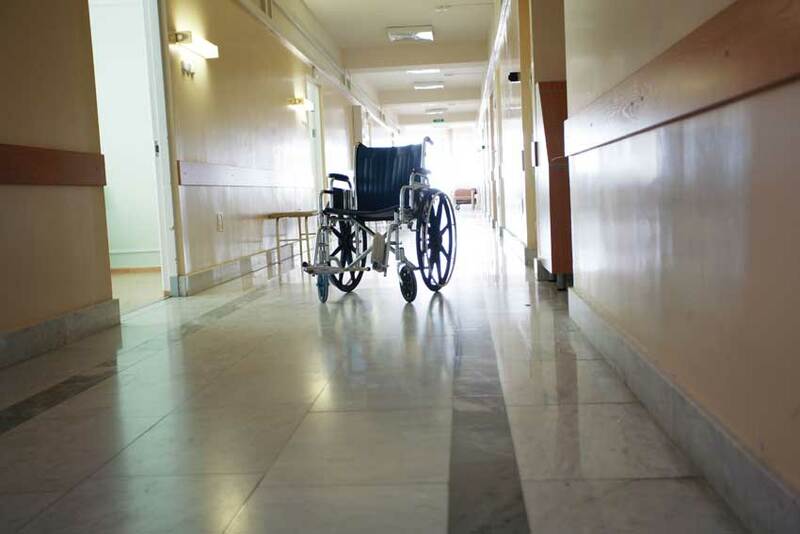 The inspectors sampled cases in 33 states, finding that as many as 1 in 4 serious instances of possible physical or sexual abuses of nursing home patients improperly went unreported to police, as required by the law. The mishandled cases were serious enough to send some of the 134 patients to hospital emergency rooms, including one elderly woman who was badly bruised in an apparent sexual assault. It was not properly reported to police—facility staff, in fact, cleaned the woman up before sending her to an ER, effectively removing any evidence that might have led to a criminal prosecution of her assailant. While conceding that the cases they uncovered were relatively few among the 1.4 million nursing home residents whose services have some connection or support by federal Medicaid or Medicare (and thus were under their purview), investigators said theirs was a spot audit and the issues may be greater. They are due, for example, to report later and in more detail on nursing home abuses, including oversight actions against problem facilities. In my practice, I see not only the major harms that patients suffer while seeking medical services but also the horrors that can occur due to nursing home neglect and abuse. The exploitation and injury of our most vulnerable, aged loved ones is simply unacceptable, and it is simply wrong for the Trump Administration and GOP lawmakers to force patients and their families into unfair arbitration with problem nursing homes, rather than allowing lawsuits against them. In case you’re wondering, RAND researchers reported an interesting non-determinant about whether Americans spend time in nursing homes: having children. It turns out that even if you have kids, it’s not a major factor in deciding if you will spend time in a care facility. If you do, the duration of your stay may be shorter and less costly—the kids will try to keep you at your own home or with them for as long as possible. But, still, health circumstances may still dictate a need for greater care. The recent hurricane did, however, emphasize the importance for friends and loved ones to not rely totally on nursing homes’ beneficence, especially in a crisis. It’s simply too much to ask, even for the best, so word to the wise: Do some thinking and planning now about what might happen to seniors in your life and how they might be cared for in natural disasters. It also may be time for the nation to reconsider the paltry pay given to home care workers, the critically important and trusted people whose labor allows millions of older Americans to stay out of formal facilities like nursing homes. The New York Times has provided a dismal review of not only their poor pay and difficult working conditions but also the demographics that indicate their numbers will be too few and far between as the nation grays.